In this page I will share with you the food & wine paradise of Buenos Aires and Argentina. 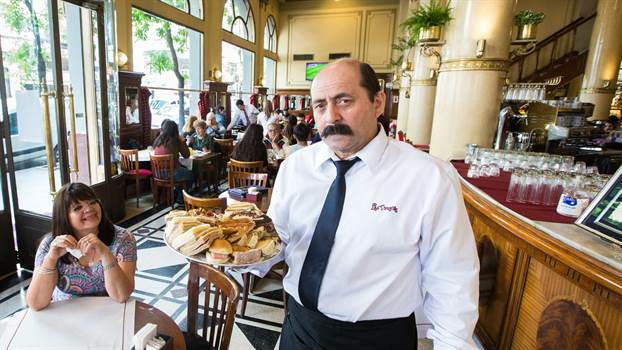 Many of the delitious things we are going to talk about here will be available in my food private tour in Buenos Aires, but also in any of my private tours I take special care in share with you the rich gastronomy of this unique city. And always there is a very good Argentinean wine to enjoy! The Confiteria Las Violetas become awarded as best Remarkable Café of the Year after a votation where it beat other remarkable Cafes like Tortoni or Cafe de Los Angelitos. 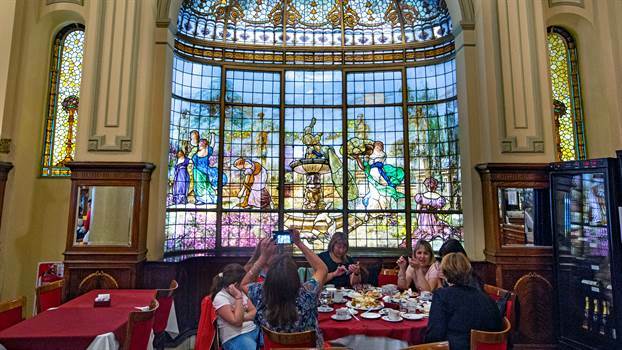 A Remarkable Café (Café Notable) is an award given by Buenos Aires city according to its History, Architecture, Antiqueness or Relevance to the cultural flavor. Las Violetas is very traditional and well known for its stein glasses as also for its big tea plates. I use to join my Customers in my private tours in Buenos Aires, in facts the waiter in the picture is a fellow of mine, his name is Luciano and like his name He looks so Italian! And the Winner of the Japan Wine Challenge 2016 is...Argentinean! 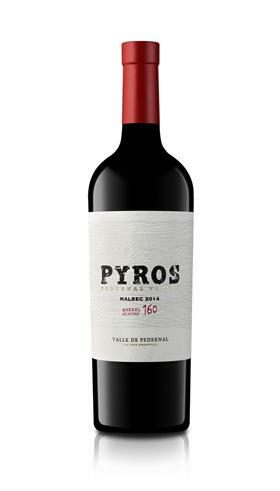 Yes an Argentinean Malbec Wine won the award for the best non-European wine, beating heavy players from all over the world. The winner is a boutique wine from the Pedernal Valley, an unkown -even for us- area of San Juan province, in the west side of Argentina. The valley is at an altitude of 4600 feet (1400 meters), why a dry and stony soil, with lots of silica (Pedernal jeans flint). 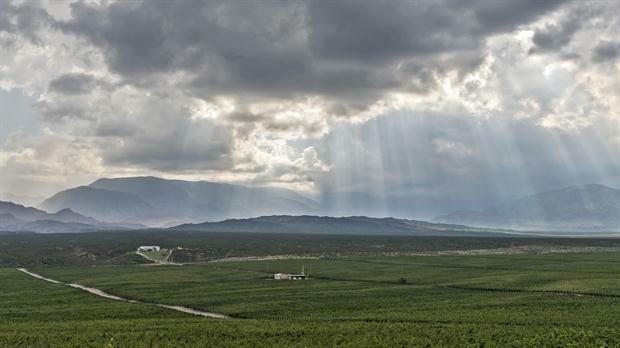 It is not easy to access there, just across a narrow canyon between the Andes mountains and the Pedernal peak. Anyway that soil can hold water and the water is running under the surface all around the valley. There is also a wide temperature range, so all this elements, -soil, water, weather- brings the perfect combo for a wine like this; Intense and endowed with a great freshness and an different aromatic and flavor profile. The award will be given in November 14th at the International Wine Expo of Tokio from the hands of His Imperial Highness Princess Takamado. Wow! I want to try it right now! I hope we can find this wine in any of my private food tours across Buenos Aires!